Hand Garth Brooks Two Pina Coladas – He Has Something to Celebrate! Ninety million to be exact. 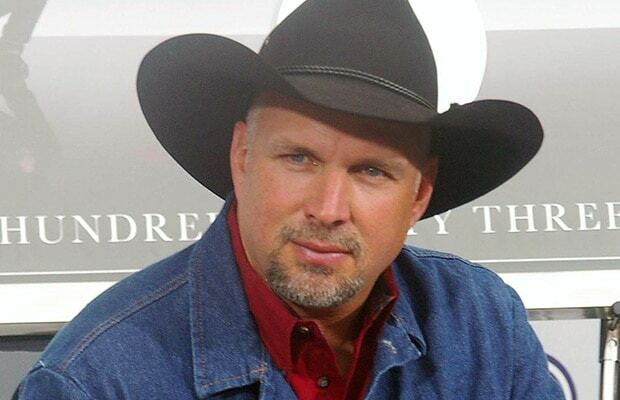 Garth Brooks leads the charts again, this time finishing as Forbes‘ most financially successful country music artist from June 2014 through June 2015. Coming in Number 6 overall behind Floyd Mayweather, Manny Pacquiao, Katy Perry, One Direction, and Howard Stern $95 million, Garth leads the country music pack on the Top 100 list, which also includes: Taylor Swift, Toby Keith, Jason Aldean, Luke Bryan, Kenny Chesney, Tim McGraw, Florida Georgia Line, Zac Brown Band, Miranda Lambert, and Blake Shelton. Two things can be said about this list: 1) We are glad Miranda and Blake tied to avoid any competition in the Shelton household; and 2) we would gladly land anywhere on it! Congratulations to Garth on another rise to the top. Let’s all celebrate with two pina coladas … on Garth! What Song Causes Garth Brooks & Trisha Yearwood to Fight? Who Garth Brooks Wants to Collaborate with May Surprise You!